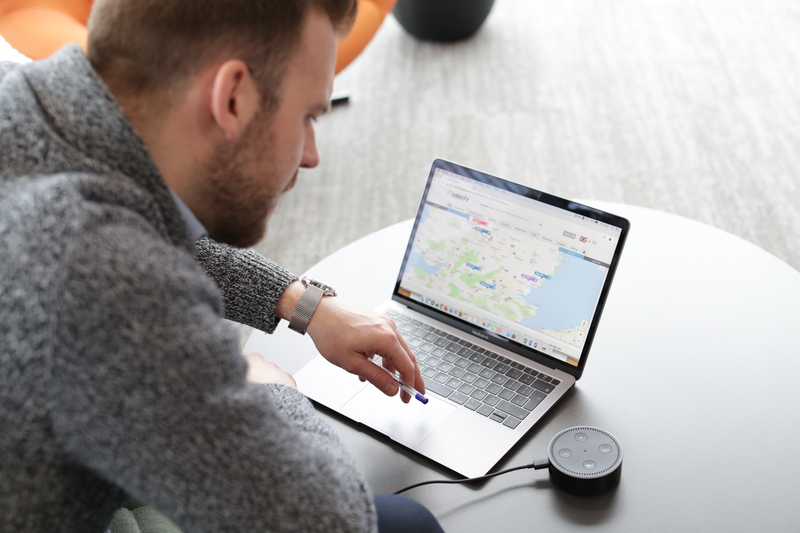 Kinesis is taking advantage of the latest advances in artificial intelligence with the integration of its vehicle tracking technology with Alexa, the Amazon Virtual Assistant. This development allows managers to locate their mobile workers by simply asking Alexa where a person is by name – or a vehicle by its ID number. Alexa immediately responds giving the current location and if on the move, where it is heading. The Crewe-based company believes it is the first telematics supplier to take advantage of voice assistance technology. The voice app works for any vehicle fitted with Kinesis trackers and is accessed using the Amazon smart speakers such as the Echo and Dot, as well as the Alexa smartphone app. Users can also ask Alexa for driver-related information such as who are the best and worst drivers. Kinesis see the Alexa integration as the first in a series of exciting developments using voice to access operational information. The development complements the recently announced ‘Alexa for Business’, which brings voice controls into the office as part of a fully managed service for multiple Alexa devices in the workplace. Kinesis is already at the forefront of technology that improves road safety and is developing an enhanced system that monitors drivers and their driving performance. By utilising voice technology, the Kinesis Alexa app adds another dimension to safety allowing hands-free access to information while on the move, making journeys more productive for those in charge of operations. Amazon’s Echo smart speaker offers tens of thousands of skills and is now complemented by a wide range of Echo devices, with an Alexa app providing smartphone access to the service.